7. Yu L*, Wang GD, Ruan J, Chen YB, Yang CP, Cao X, Wu H, Liu YH, Du ZL, Wang XP, Yang J, Cheng SC, Zhong L, Wang L, Wang X, Hu JY, Fang L, Bai B, Wang KL, Yuan N, Wu SF, Li BG, Zhang JG, Yang YQ, Zhang CL, Long YC, Li HS, Yang JY, Irwin DM, Ryder OA, Li Y, Wu CI*, Zhang YP*. Genomic analysis of snub-nosed monkeys (Rhinopithecus) identifies genes and processes related to high-altitude adaptation. Nature Genetics. 2016, 48:947. 8. Li HP, Xiang-Yu JG, Dai GY, Gu ZL, Ming C, Yang ZF, Ryder OA, Li WH*, Fu YX*, Zhang YP*. Large numbers of vertebrates began rapid population decline in the late 19th century. PNAS. 2016, 113:14079-14084. 9. Shen QK, Sulaiman X, Yao YG, Peng MS*, Zhang YP*. Was ADH1B under Selection in European Populations? Am J Hum Genet. 2016, 99:1217-1219. 10. Wang GD, Zhai WW, Yang HC, Wang L, Zhong L, Liu YH, Fan RX, Yin TT, Zhu CL, Poyarkov AD, Irwin DM, Hytonen MK, Lohi H, Wu CI, Savolainen P, and Zhang YP*. Out of southern East Asia: the natural history of domestic dogs across the world. Cell Research. 2016,26:21-33. 11. Wang GD, Peng MS, Yang HC, Savolainen P, Zhang YP*. Questioning the evidence for a Central Asian domestication origin of dogs. PNAS. 2016, 113:E2554-E2555. 12. Wang MS, Zhang RW, Su LY, Li Y, Peng MS, Liu HQ, Zeng L, Irwin DM, Du JL, Yao YG, Wu DD*, Zhang YP*. Positive selection rather than relaxation of functional constraint drives the evolution of vision during chicken domestication. Cell Research. 2016, 26: 556-573. 13. Wang MS, Huo YX, Li Y, Otecko NO, Su LY, Xu HB, Wu SF, Peng MS, Liu HQ, Zeng L, Irwin DM, Yao YG, Wu DD*, Zhang YP*. Comparative population genomics reveals genetic basis underlying body size of domestic chickens. J Mol Cell Biol. 2016, 8(6):542-552. 14. Wang GD, Zhai WW, Yang HC, Wang L, Zhong L, Liu YH, Fan RX, Yin TT, Zhu CL, Poyarkov AD, Irwin DM, Hyt？nen MK, Hannes Lohi H, Wu CI, Savolainen P*, Zhang YP*. Out of southern East Asia: the natural history of domestic dogs across the world. Cell Research, 2016, 26:21-33. 15. 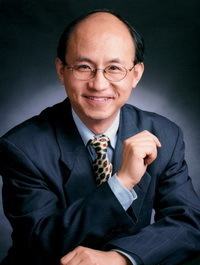 Wang MS, Li Y, Peng MS, Zhong L, Wang ZJ, Li QY, Tu XL, Dong Y, Zhu CL, Wang L, Yang MM, Wu SF, Miao YW, Liu JP, Irwin DM, Wang W, Wu DD*, Zhang YP*. Genomic analyses reveal potential independent adaptation to high altitude in Tibetan chickens. Molecular Biology and Evolution, 2015, 32:1880-1889. 16. Peng MS, Shi NN, Yao YG, Zhang YP*. Caveats about interpretation of ancient chicken mtDNAs from northern China. PNAS, 2015, 112:E1970-E1971. 17. Peng MS, Fan L, Shi NN, Ning T, Yao YG, Murphy RW, Wang WZ*, Zhang YP*. DomeTree: a canonical toolkit for mitochondrial DNA analyses in domesticated animals. Molecular Ecology Resources, 2015, 15:1238-1242. 18. Bai B, Zhao WM, Tang BX, Wang YQ, Wang L, Zhang Z, Yang HC, Liu YH, Zhu JW, Irwin DM, Wang GD*, Zhang YP*. DoGSD: the dog and wolf genome SNP database. Nucleic Acids Research, 2015, 43:D777-D783. 19. Liu HQ, Wei JK, Li B, Wang MS, Wu RQ, Rizak JD, Zhong L, Wang L, Xu FQ, Shen YY*, Hu XT*, Zhang YP*. Divergence of dim-light vision among bats (order: Chiroptera) as estimated by molecular and electrophysiological methods. Scientific Reports, 2015, 5. 20. Shao Y, Li JX, Ge RL, Zhong L, Irwin DM, Murphy RW, Zhang YP*. Genetic adaptations of the plateau zokor in high-elevation burrows. Scientific Reports, 2015, 5. 21. Zhou ZY, Li AM, Wang LG, Irwin DM, Liu YH, Xu D, Han XM, Wang L, Wu SF, Wang LX*, Xie HB*, Zhang YP*. DNA methylation signatures of long intergenic noncoding RNAs in porcine adipose and muscle tissues. Scientific Reports, 2015, 5. 22. Ge RL, Cai QL, Shen YY, Murphy RW, Wang J, Zhang YP*, Wang J*. Draft genome sequence of the Tibetan antelope. Nature Communications, 2013, 4. 23. He L, Wu WJ, Yang JK, Cheng H, Zuo XB, Lai W, Gao TW, Ma CL, Luo N, Huang JQ, Lu FY, Liu YQ, Huang YJ, Lu QJ, Zhang HL, Wang L, Wang WZ, Wang MM, Xiao SX, Sun Q, Li CY, Bai YP, Li H, Zhou ZC, Zhou FS, Chen G, Liang B, Qi J, Yang XY, Yang T, Zheng X, Sun LD, Zhang XJ, and Zhang YP*. Two new susceptibility loci 1q24.2 and 11p11.2 confer risk to severe acne. Nature Communications 2014, 5. 24. Li Y, Wang GD, Wang MS, Irwin DM, Wu DD*, Zhang YP*. Domestication of the Dog from the Wolf Was Promoted by Enhanced Excitatory Synaptic Plasticity: A Hypothesis. Genome Biology and Evolution, 2014, 6:3115-3121. 25. Li Y, vonHoldt BM, Reynolds A, Boyko AR, Wayne RK, Wu DD*, Zhang YP*. Artificial selection on brain-expressed genes during the domestication of dog. Molecular Biology and Evolution 2013,30(8):1867-76. 26. Li Y, Wu DD, Boyko AR, Wang GD, Wu SF, Irwin DM, Zhang YP*. Population Variation Revealed High-Altitude Adaptation of Tibetan Mastiffs. Molecular Biology and Evolution 2014, 31(5):1200–1205. 27. Liu J, Wang XP, Cho S, Lim BK, Irwin DM, Ryder OA, Zhang YP*, Yu L*. Evolutionary and Functional Novelty of Pancreatic Ribonuclease: a Study of Musteloidea (order Carnivora). Scientific Reports, 2014, 4. 28. Luo J, Gao Y, Ma W, Bi XY, Wang SY, Wang J, Wang YQ, Chai J, Du R, Wu SF, Meyer A, Zan RG, Xiao H, Murphy RW, Zhang YP*. Tempo and mode of recurrent polyploidization in the Carassius auratus species complex (Cypriniformes, Cyprinidae). Heredity, 2014, 112:415-427. 29. Shi NN, Fan L, Yao YG, Peng MS*, Zhang YP*. Mitochondrial genomes of domestic animals need scrutiny. Molecular Ecology, 2014, 23:5393-5397. 30. Wang GD, Xie HB, Peng MS, Irwin D, and Zhang YP*. Domestication Genomics: Evidence from Animals. Annual Review of Animal Biosciences, 2014,2:65-84. 31. Wang GD, Zhai WW, Yang HC, Fan RX, Cao X, Zhong L, Wang L, Liu F, Gao Y, Lv XM, Irwin DM, Savolainen P, Wu CI*, Zhang YP*. The genomics of selection in dogs and the parallel evolution between dogs and humans. Nature Communications, 2013,4:1860. 32. Zhou ZY, Li AM, Adeola AC, Liu YH, Irwin DM, Xie HB*, Zhang YP*. Genome-Wide Identification of Long Intergenic Noncoding RNA Genes and Their Potential Association with Domestication in Pigs. Genome Biology and Evolution, 2014, 6:1387-1392. 33. Li JT, Li Y, Klaus S, Rao DQ, Hillis DM, Zhang YP*: Diversification of rhacophorid frogs provides evidence for accelerated faunal exchange between India and Eurasia during the Oligocene. PNAS, 2013, 110(9): 3441-3446. 34. Murphy RW, Crawford AJ, Bauer AM, Che J, Donnellan SC, Fritz U, Haddad CFB, Nagy ZT, Poyarkov NA, Vences M, Wang WZ, Zhang YP*: Cold code: the global initiative to DNA barcode amphibians and nonavian reptiles. Molecular Ecology Resources 2013, 13(2): 161-167. 35. Yan F, Zhou WW, Zhao HT, Yuan ZY, Wang YY, Jiang K, Jin JQ, Murphy RW, Che J*, Zhang YP*. Geological events play a larger role than Pleistocene climatic fluctuations in the genetic structure of the montane stream-dwelling frog Quasipaa boulengeri (Anura: Dicroglossidae) in southern China. Molecular Ecology 2013, 22: 1120–1133. 36. Che J, Chen HM, Yang JX, Jin JQ, Jiang K, Yuan ZY, Murphy RW, Zhang YP*: Universal COI primers for DNA barcoding amphibians. Molecular Ecology Resources 2012, 12(2): 247-258. 37. Chen R, Irwin DM, Zhang YP*: Differences in selection drive olfactory receptor genes in different directions in dogs and wolf. Molecular Biology and Evolution 2012, 29(11): 3475-3484. 38. Ji LD, Qiu YQ, Xu J, Irwin DM, Tam SC, Tang NL, Zhang YP*: Genetic adaptation of the hypoxia-inducible factor pathway to oxygen pressure among Eurasian human populations. Molecular Biology and Evolution 2012, 29(11): 3359-3370. 39. Jin W, Wu DD, Zhang X, Irwin DM, Zhang YP*: Positive selection on the gene RNASEL: correlation between patterns of evolution and function. Molecular Biology and Evolution 2012, 29(10): 3161-3168. 40. Shen YY, Liang L, Li GS, Murphy RW, Zhang YP*: Parallel evolution of auditory genes for echolocation in bats and toothed whales. PloS Genetics 2012, 8(6): e1002788. 41. Zhou WW, Wen Y, Fu JZ, Xu YB, Jin JQ, Ding L, Min MS, Che J, Zhang YP*: Speciation in the Ranachensinensis species complex and its relationship to the uplift of the Qinghai-Tibetan Plateau. Molecular Ecology 2012, 21(4): 960-973. 42. Gao JJ, Pan XR, Hu J, Ma L, Wu JM, Shao YL, Barton SA, Woodruff RC, Zhang YP*, Fu YX: Highly variable recessive lethal or nearly lethal mutation rates during germ-line development of male Drosophila melanogaster. PNAS, 2011, 108(38): 15914-15919. 43. Kong QP, Sun C, Wang HW, Zhao MA, Wang WZ, Zhong L, Hao XD, Pan H, Wang SY, Cheng YT, Zhu CL, Wu SF, Liu LN, Jin JQ, Yao YG, Zhang YP*: Large-scale mtDNA screening reveals a surprising matrilineal complexity in East Asia and its implications to the peopling of the region. Molecular Biology and Evolution 2011, 28(1): 513-522. 44. Sun YB, Shen YY, Irwin DM, Zhang YP*: Evaluating the roles of energetic functional constraints on teleost mitochondrial-encoded protein evolution. Molecular Biology and Evolution 2011, 28(1): 39-44. 46. Yu L, Luan PT, Jin W, Ryder OA, Chemnick LG, Davis HA, Zhang YP*: Phylogenetic utility of nuclear introns in interfamilial relationships of Caniformia (Order Carnivora). Systematic Biology 2011, 60(2):175-187. 47. Bawa KS, Koh LP, Lee TM, Liu JG, Ramakrishnan PS, Yu DW, Zhang YP, Raven PH: China, India, and the environment. Science 2010, 327(5972): 1457-1459. 48. Che J, Zhou WW, Hu JS, Yan F, Papenfuss TJ, Wake DB, Zhang YP*: Spiny frogs (Paini) illuminate the history of the Himalayan region and Southeast Asia. PNAS, 2010, 107(31): 13765-13770. 49. Peng MS, Quang HH, Dang KP, Trieu AV, Wang HW, Yao YG, Kong QP, Zhang YP*: Tracing the Austronesian footprint in Mainland Southeast Asia: a perspective from mitochondrial DNA. Molecular Biology and Evolution 2010, 27(10):2417-2430. 50. Shen YY, Liang L, Zhu ZH, Zhou WP, Irwin DM, Zhang YP*: Adaptive evolution of energy metabolism genes and the origin of flight in bats. PNAS，2010, 107(19): 8666-8671. 51. Wu DD, Zhang YP*: Positive selection drives population differentiation in the skeletal genes in modern humans. Human Molecular Genetics 2010, 19(12): 2341-2346. 52. Yu L, Jin W, Wang JX, Zhang X, Chen MM, Zhu ZH, Lee H, Lee M, Zhang YP*: Characterization of TRPC2, an essential genetic component of VNS chemoreception, provides insights into the evolution of pheromonal olfaction in secondary-adapted marine mammals. Molecular Biology and Evolution 2010, 27(7): 1467-1477. 53. Yu L, Wang XY, Jin W, Luan PT, Ting N, Zhang YP*: Adaptive evolution of digestive RNASE1 genes in leaf-eating monkeys revisited: new insights from ten additional colobines. Molecular Biology and Evolution 2010, 27(1): 121-131. 54. Zhang DR, Chen MY, Murphy RW, Che J, Pang JF, Hu JS, Luo J, Wu SJ, Ye H, Zhang YP*: Genealogy and palaeodrainage basins in Yunnan Province: phylogeography of the Yunnan spiny frog, Nanorana yunnanensis (Dicroglossidae). Molecular Ecology 2010, 19(16): 3406-3420. 56. Pang JF, Kluetsch C, Zou XJ, Zhang AB, Luo LY, Angleby H, Ardalan A, Ekstrom C, Skollermo A, Lundeberg J,Matsumura S, Leitner T, Zhang YP*, Savolainen P: mtDNA data indicate a single origin for dogs South of Yangtze River, less than 16,300 years ago, from numerous wolves. Molecular Biology and Evolution 2009, 26(12): 2849-2864. 57. Shen YY, Shi P, Sun YB, Zhang YP*: Relaxation of selective constraints on avian mitochondrial DNA following the degeneration of flight ability. Genome Research 2009, 19(10): 1760-1765. 58. Wu DD, Wang GD, Irwin DM, Zhang YP*. A profound role for the expansion of trypsin-like serine protease family in the evolution of hematophagy in mosquito. Molecular Biology and Evolution 2009, 26(10): 2333-2341. 59. Zhao M, Kong QP, Wang HW, Peng MS, Xie XD, Wang WZ, Jiayang, Duan JG, Cai MC, Zhao SN, Cidanpingcuo, Tu YQ, Wu SF, Yao YG, Bandelt HJ, Zhang YP*: Mitochondrial genome evidence reveals successful Late Paleolithic settlement on the Tibetan Plateau. PNAS，2009, 106(50): 21230-21235.